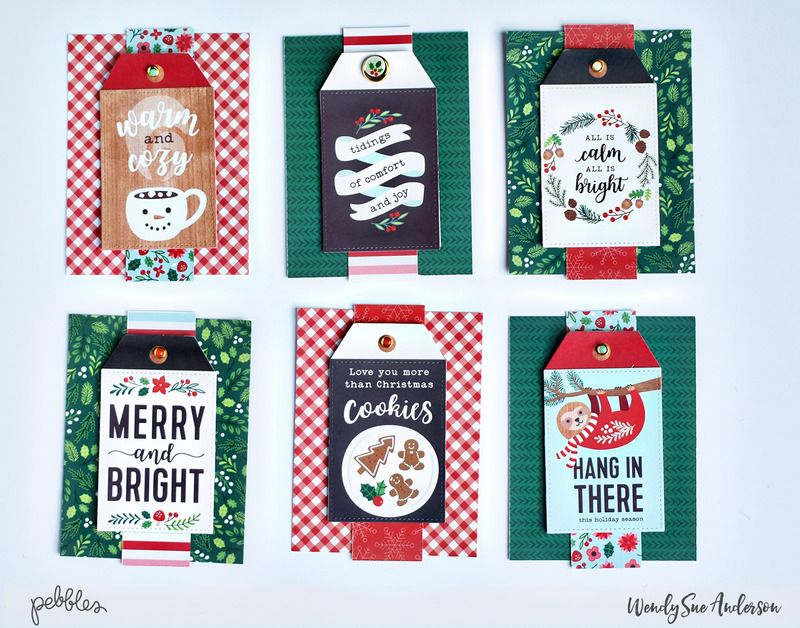 Cards Archives - Page 3 of 60 - Pebbles, Inc. The countdown is on! 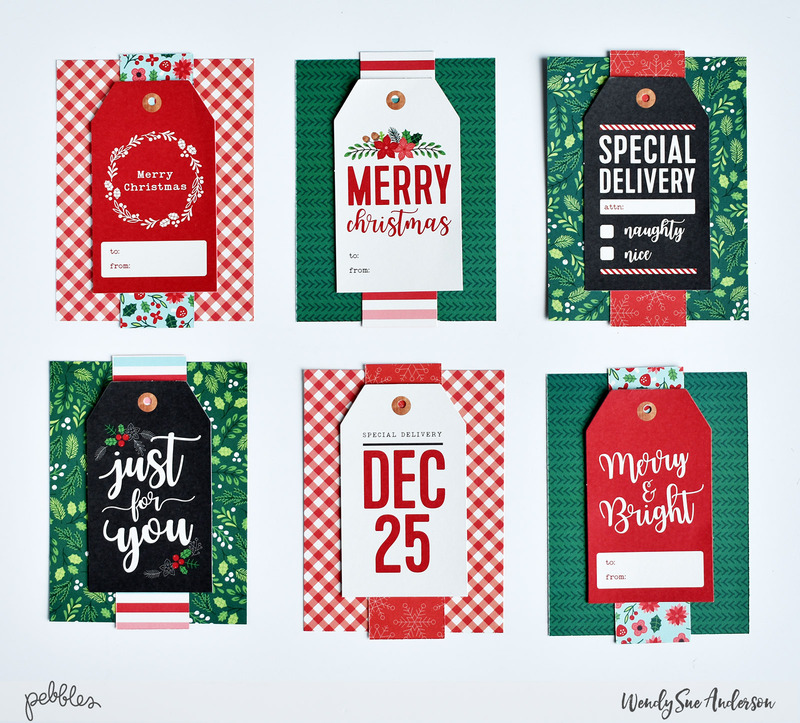 With a list of holiday activities and preparations a mile long, are handmade Christmas cards on your list? 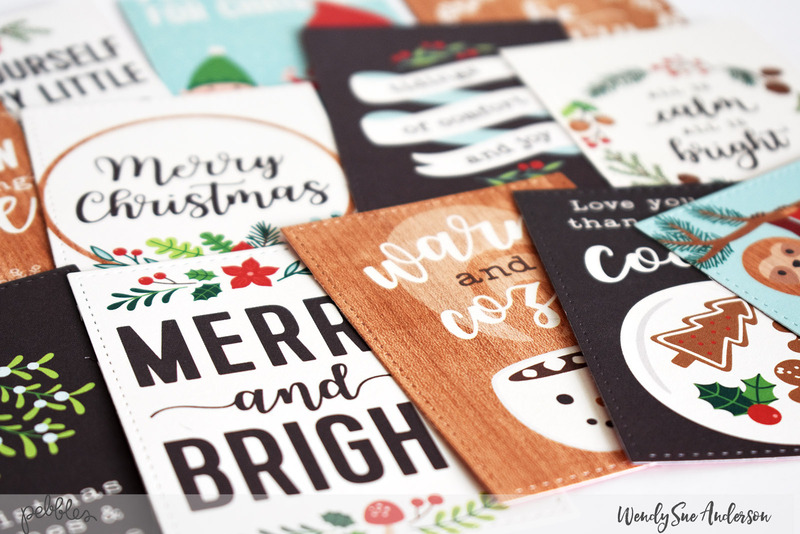 If you think you don’t have time to make handmade Christmas cards this year, let me try to convince you otherwise! I whipped up this cute little set in a matter of minutes. 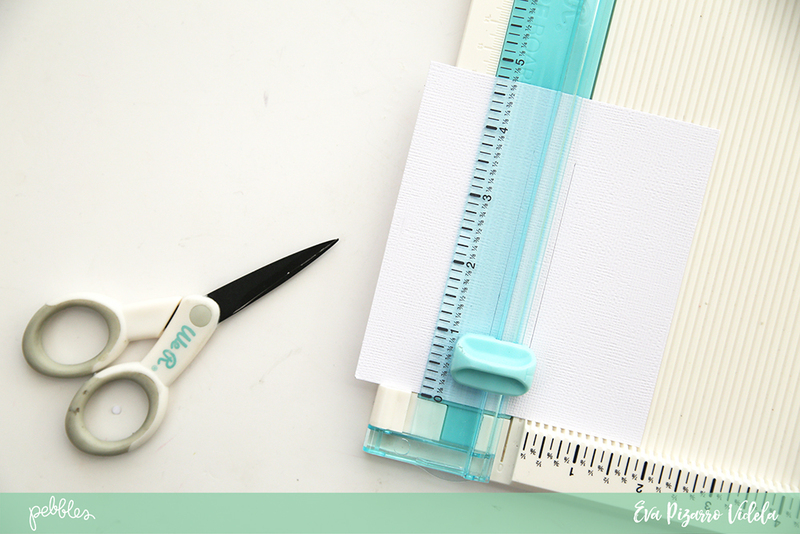 With the tiniest bit of preparation, you can too! Keep reading to see how! Only add adhesive to the top part of the 3×4 cards – this will create a fun peek-a-boo, interactive effect! 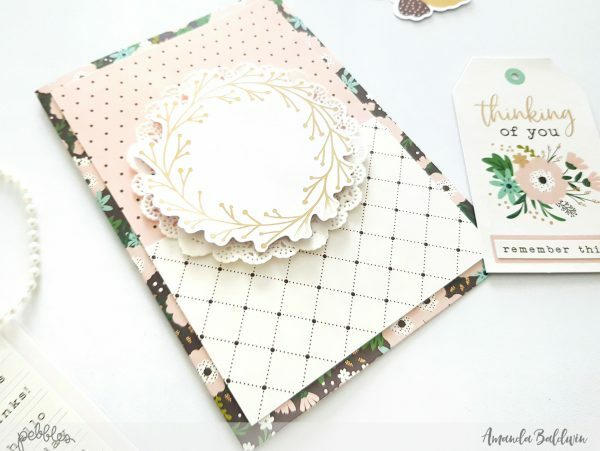 Attach each piece to a white card background – and you’re all done!! Hi there! 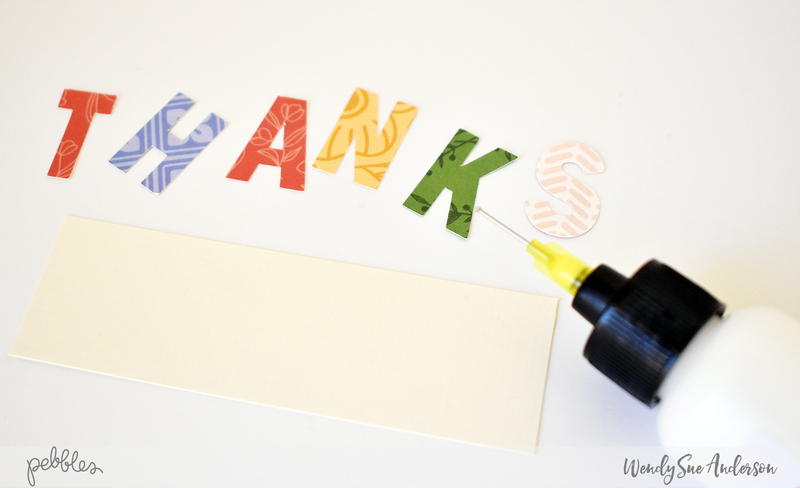 It’s the thanksgiving season, but there’s never a single season that should be devoted to “thanks” giving! 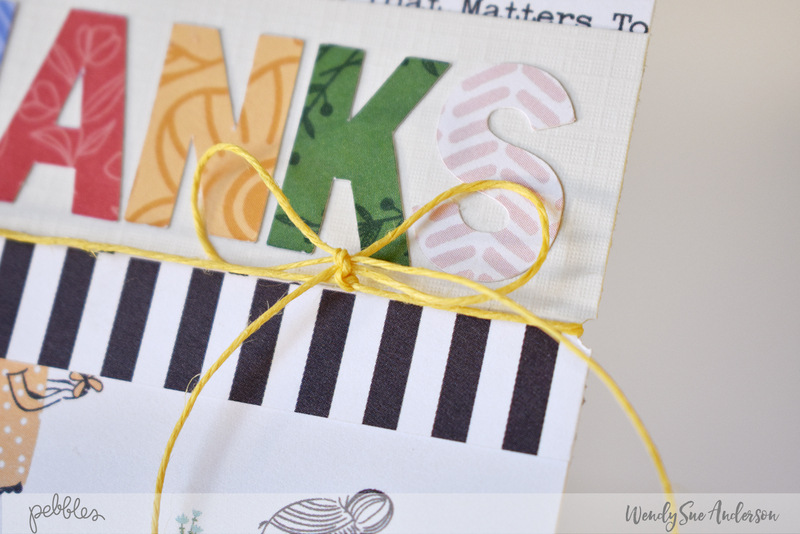 I whipped up a quick and easy thank you card set featuring the “Along The Way” collection to share with you today! Start by choosing several patterned papers and use a digital die-cutting machine to cut out the word “thanks” from each paper. 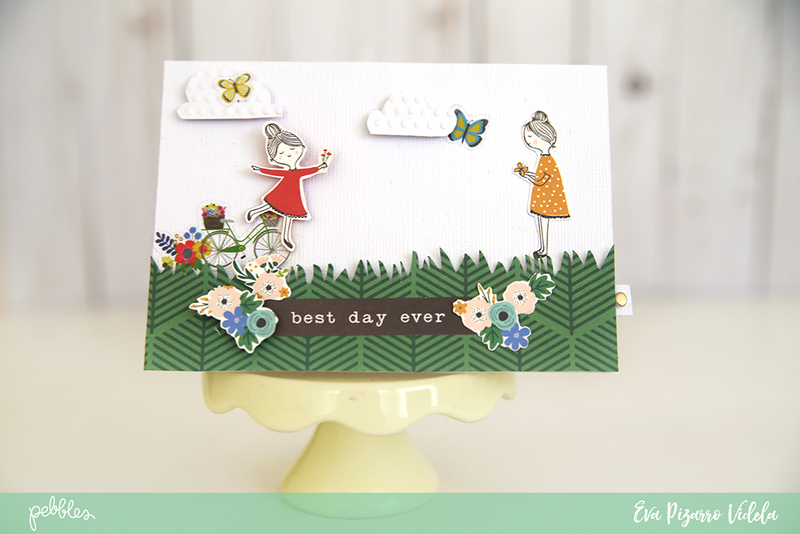 Next, choose some of the more neutral papers to use for backgrounds, along with the fun little girl paper. 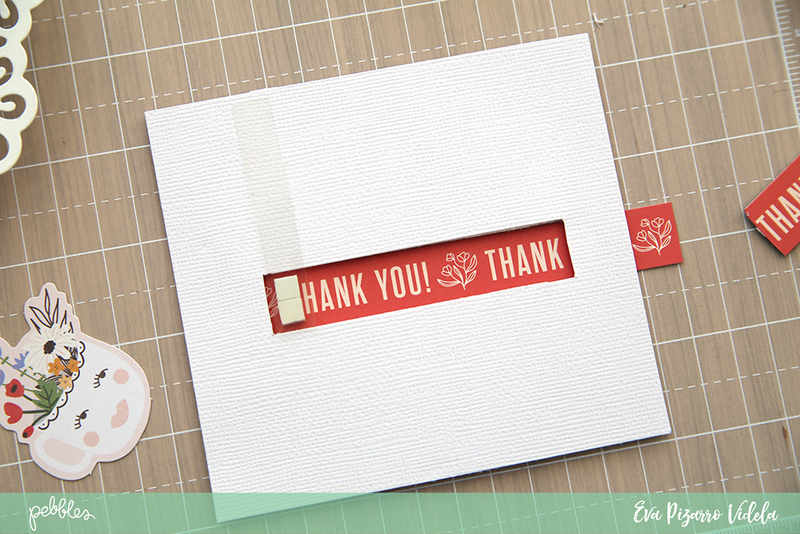 You’ll also want to cut a tear strip from one of the papers to add to the card front. 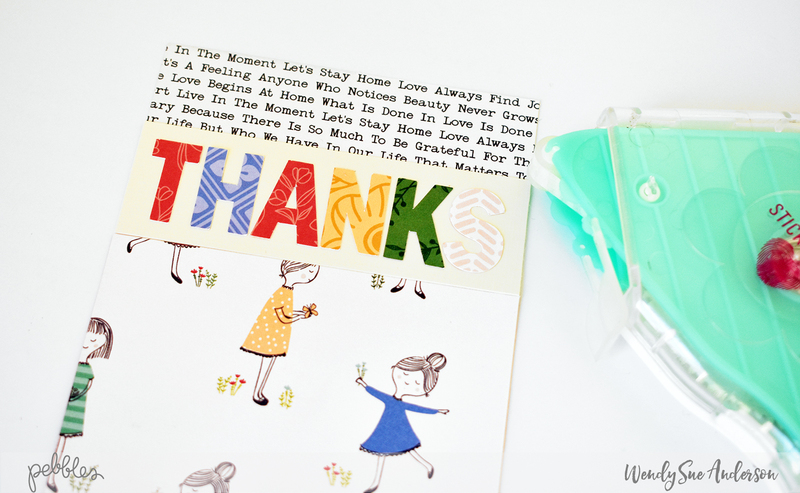 Thanks for stopping by the blog today – I hope this Thank You Card Set has inspired you to whip up a few of your own! Hello everyone! 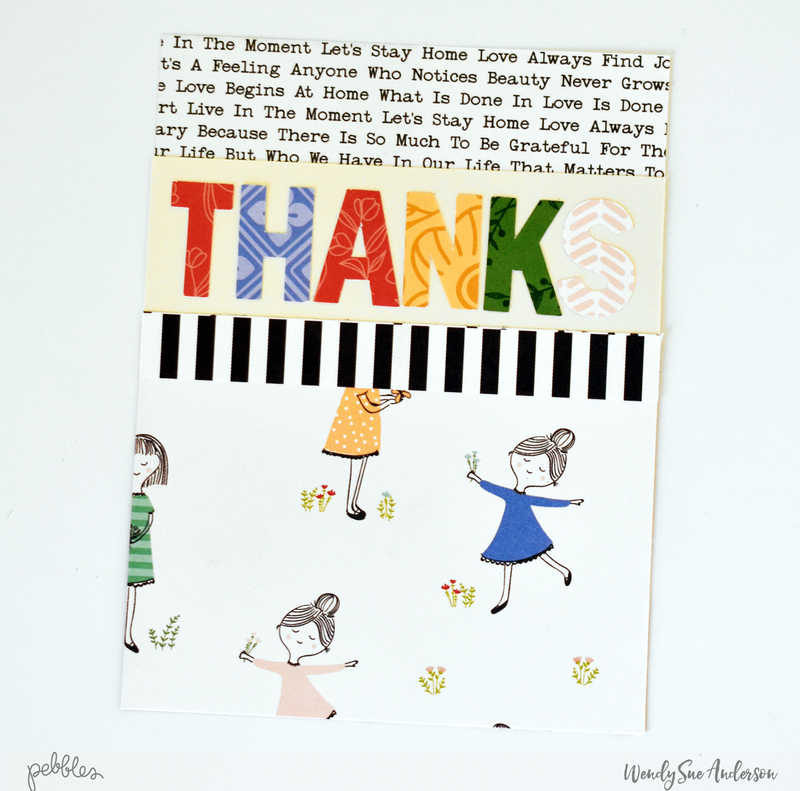 Eva Pizarro on the blog today sharing a Thank You Card Trio made with the lovely Along the Way line from Pebbles. The designs from this collection are feminine and perfect for a friendship or thank you card. My favorites are the little girls and the florals so I made three cards to highlight them. 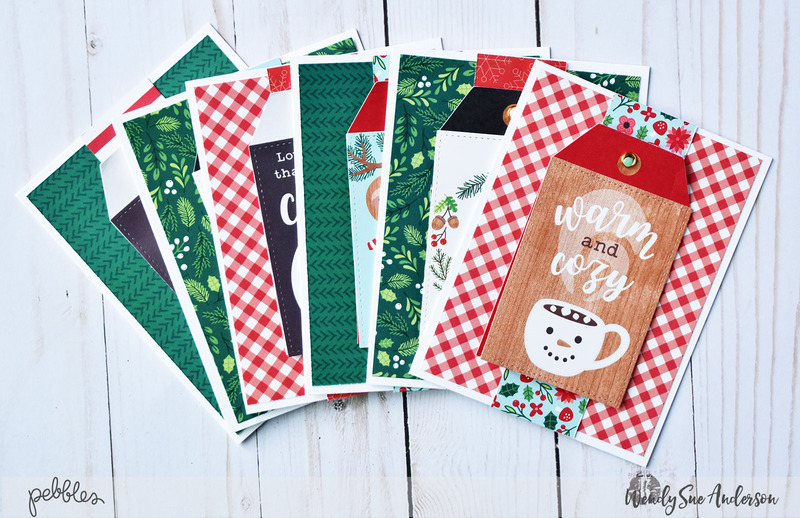 The cards are very different and one of them has a little surprise! The first card I made is this one with the big tag, It was really simple, I just layered my favorite patterned papers and added this cute card that included the Thank You sentiment. For this second card, I included the little girls and that cute flag with flowers. 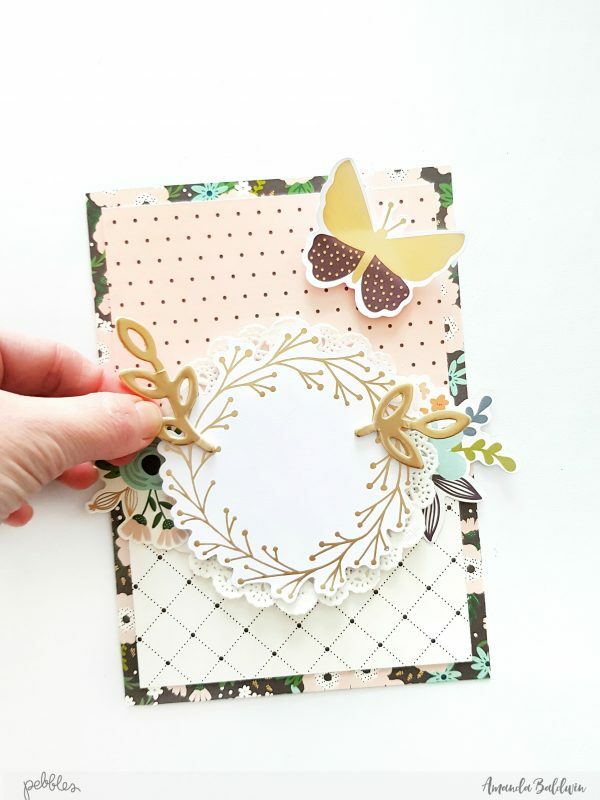 I added some dimension to the card with 3d dots, they really made the design stand out! And did you noticed that Black and white background paper? I think it is one of my favorite from the collection! 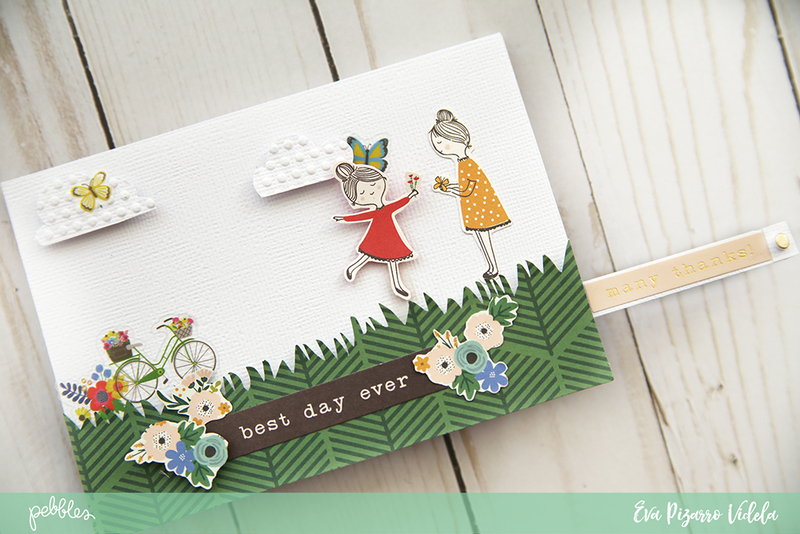 This last card has a little surprise because when you pull the sentiment the little girl runs to hug her friend! how cool is that? 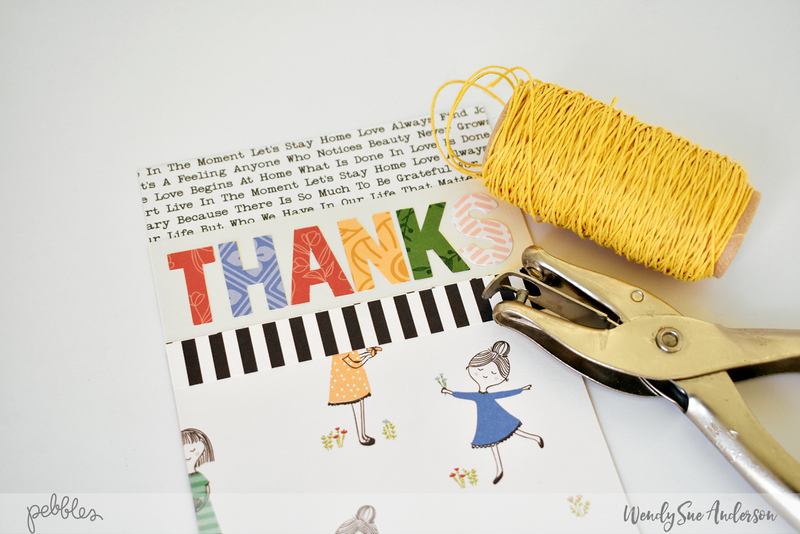 It is really easy to make and I am sure anyone would be happy to receive this card! 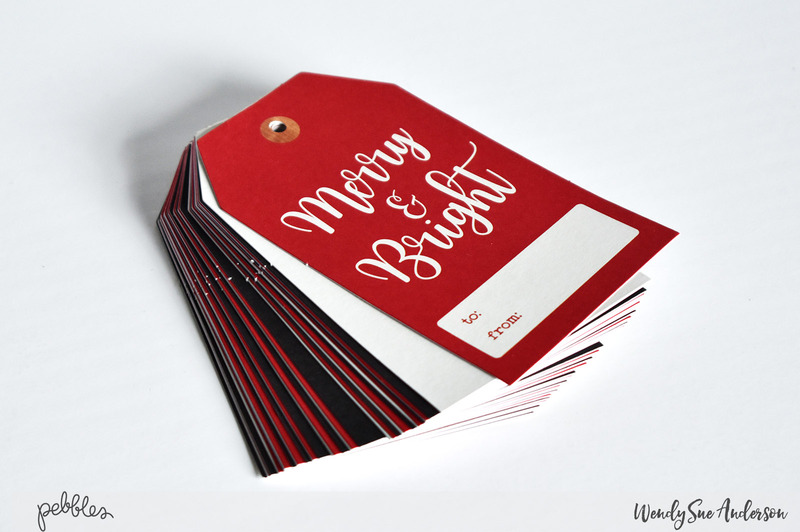 Start by cutting a rectangle on your card. The rectangle needs to be a little shorter than then sentiment you are going to pull. 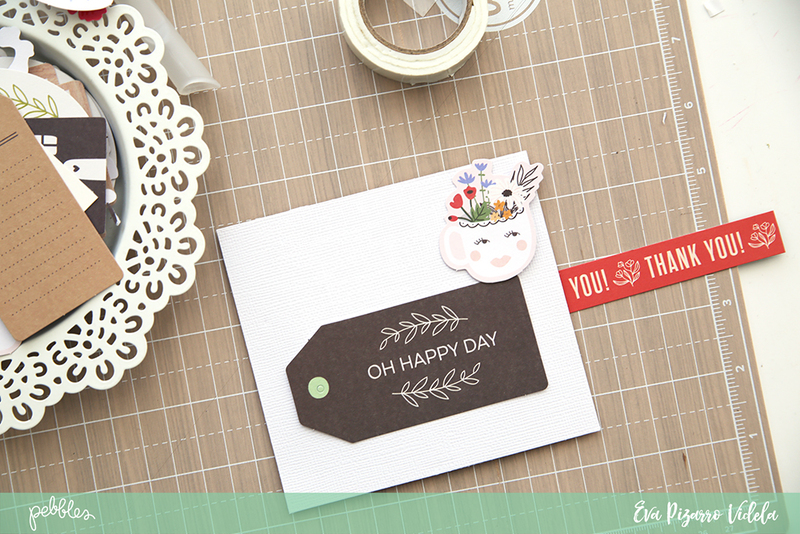 Choose a die cut that is going to move along the edge of the card. For this example, I chose this cute floral cup. 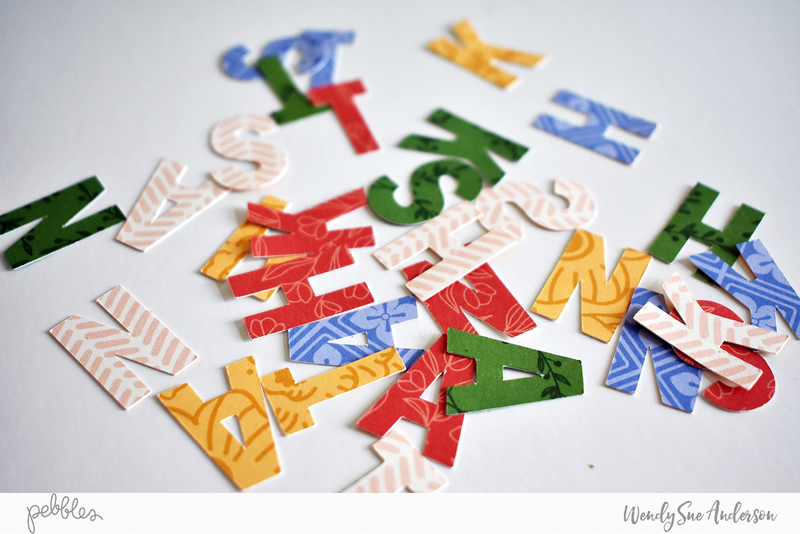 Place 3d strips on the edges of the rectangle making sure the strip with the message fits perfectly, not too loose and not too tight. Cut the strip of paper to the desired length and place some 3d dots on the edge. 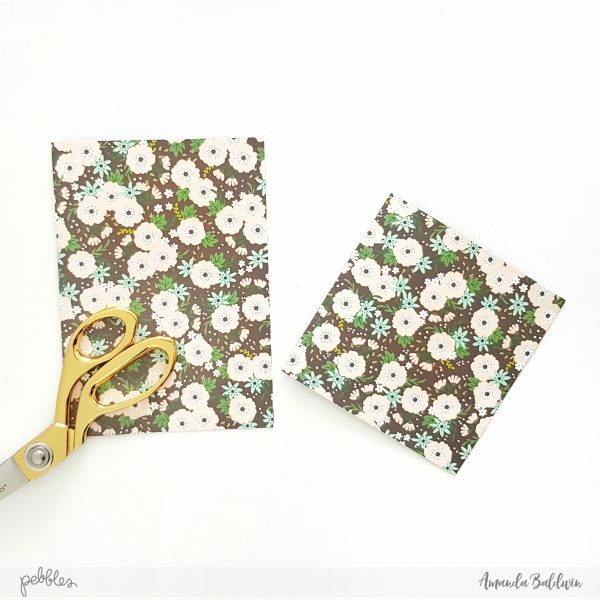 These dots are going to hold the floral cup and are going to be your stops so the strip doesn’t get out fo the card. Next, glue a small piece of acetate to the 3d dots and the little cup on top. To cover the mechanism put some embellishments on top making sure you don’t glue anything on the rectangle. 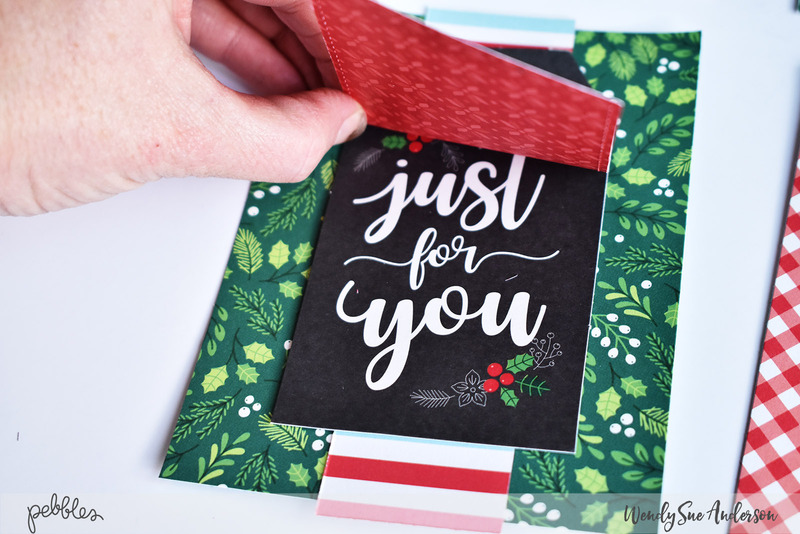 When you pull the strip of paper the cup moves all the way to the other edge of the card! How pretty is that! 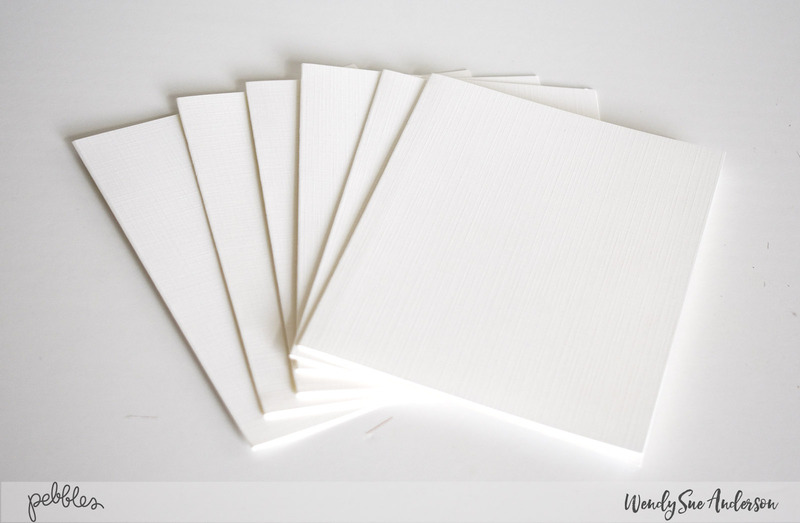 Now all you need to do is attach that white cardstock piece to the base of your card! 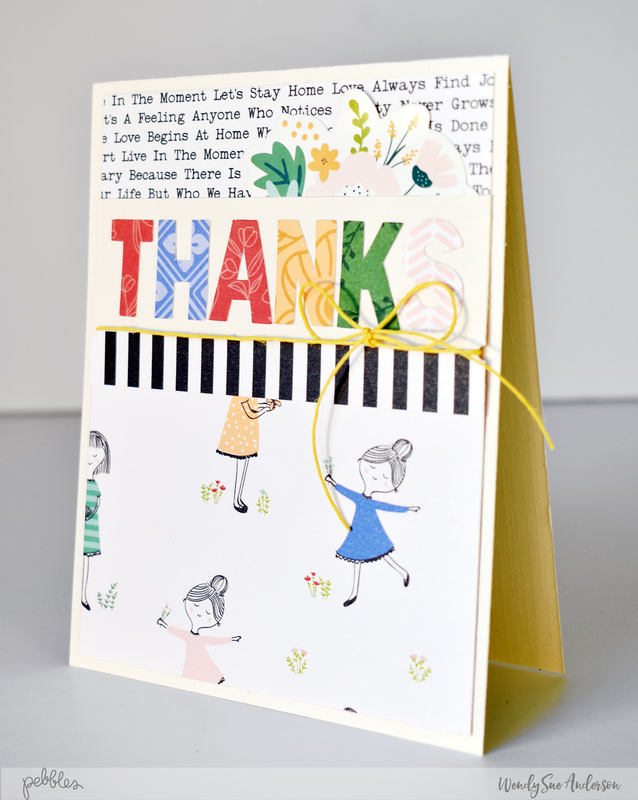 And here is the card that I made, I created a scene and added the sentiment “many thanks” to the strip of paper. 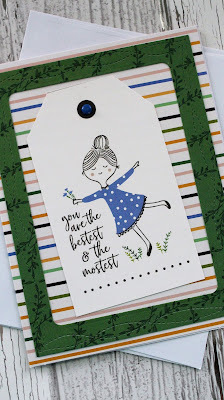 Click on the image to see the card in action! 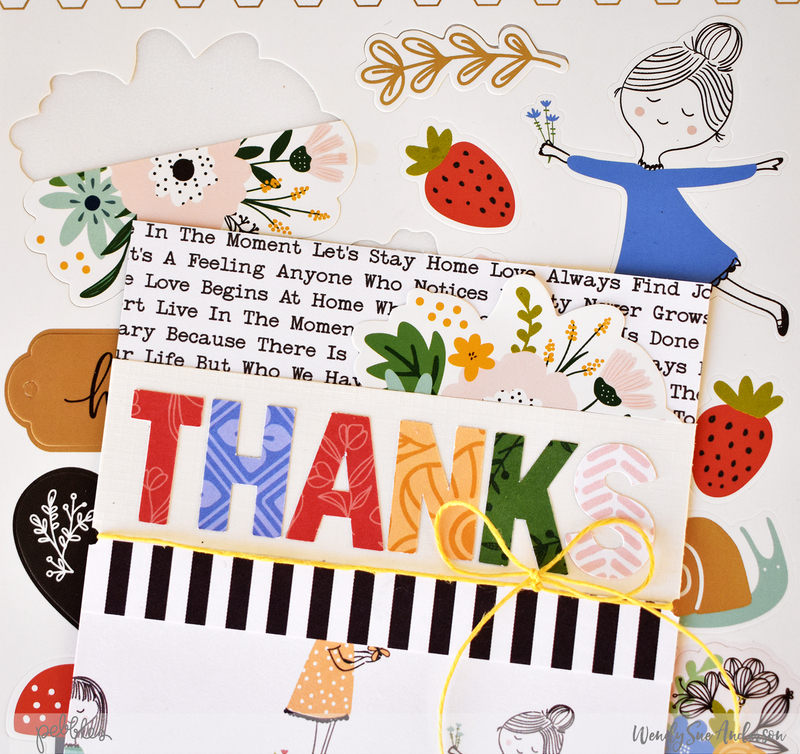 All the cards on my Thank You Card Trio are different but I think all of them are cute and girly. Which one is your favorite? 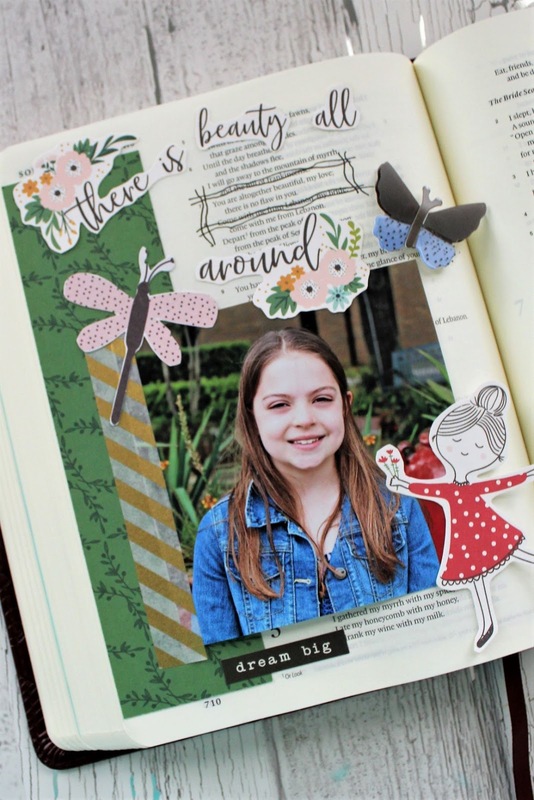 Please welcome Jessi – and her darling Along The Way projects! 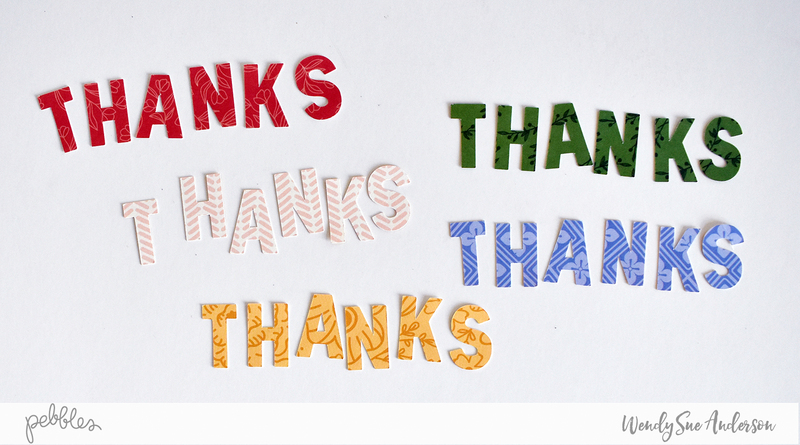 Hello, Pebbles, Inc. fans! 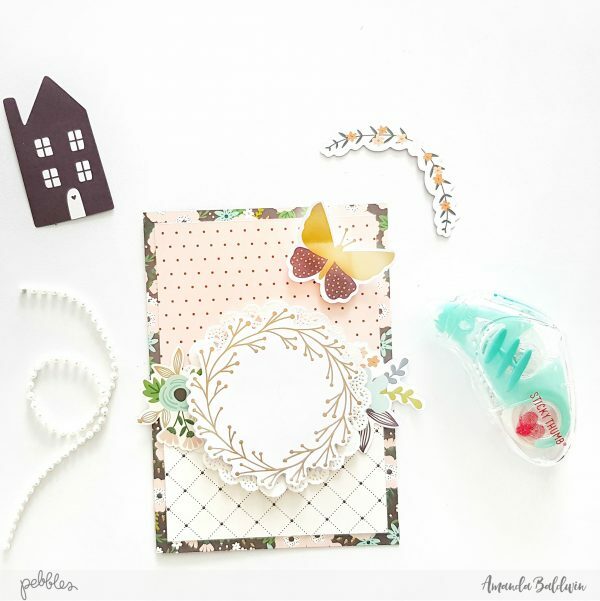 This is Jessi and I am excited to be a guest designer for the Pebbles. Inc blog. 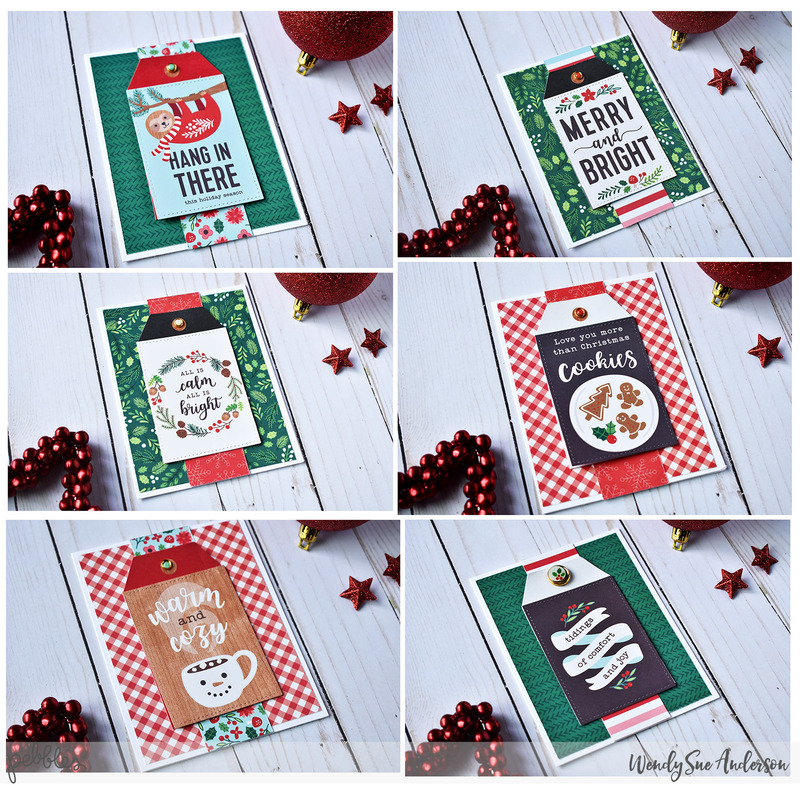 I was given the super adorable Along The Way Collection. Once I got the collection in my hands, I could not wait to get to work. 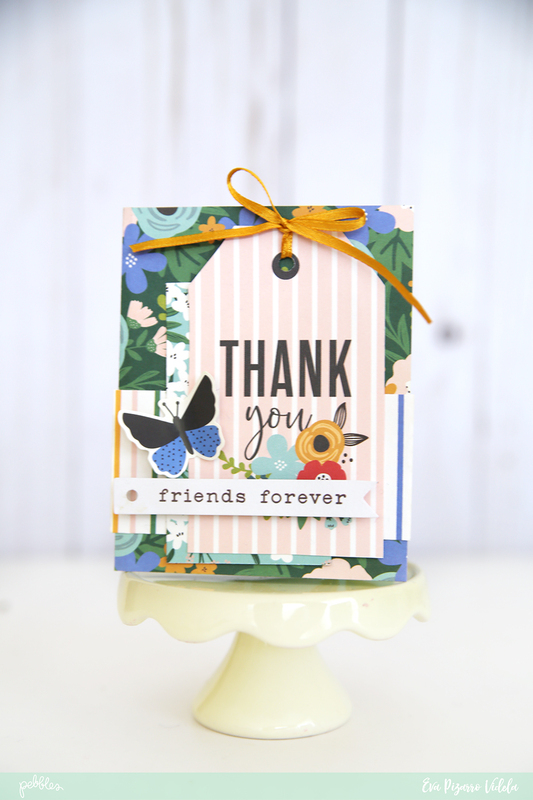 I immediately fell in love with the gorgeous colors used throughout the variety of prints! This project started with a unfinished house shape wooden piece. I cut the different prints down to the correct sized and glued them to the wood. 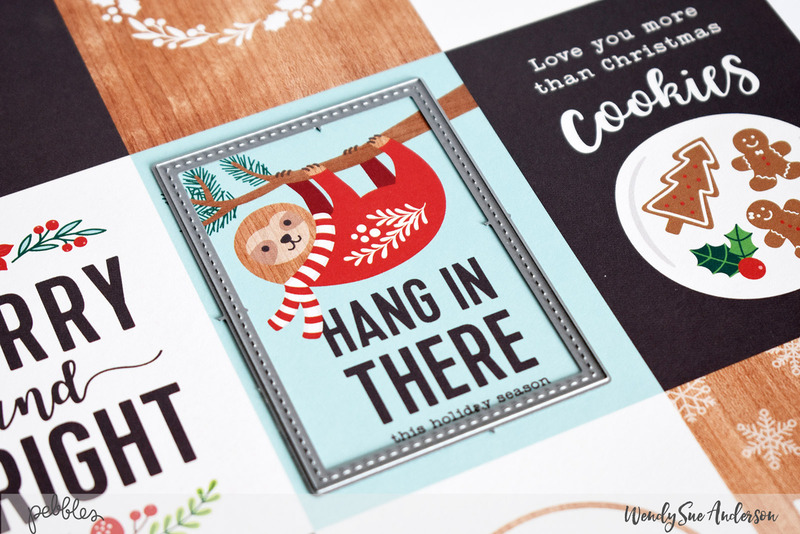 I used a few more prints for form with the different layers to highlight the saying. 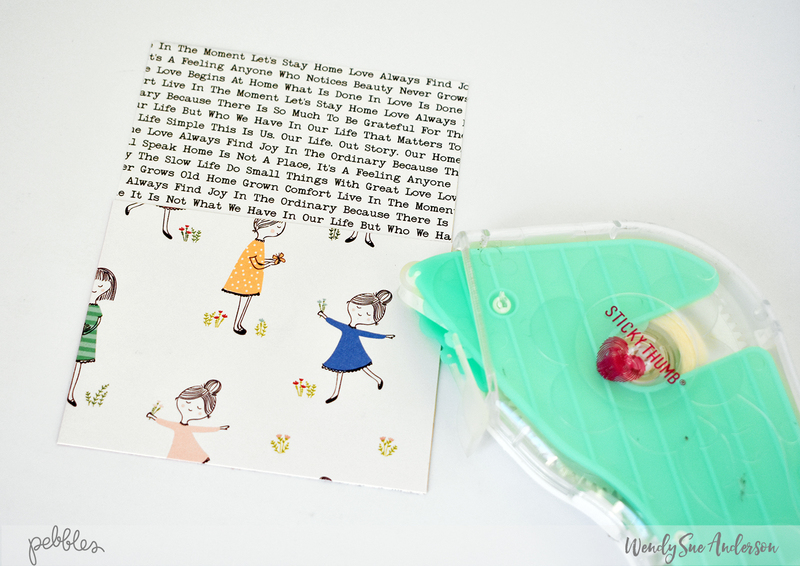 To finish the piece, I used one the of pieces from the Along the Way Ephemera. I used more of the additional Along the Way embellishments than I did the papers. I used some ephemeras, 3D stickers, and word stickers. I did cut up a few of the 2×3 squares included on one side of a 12×12 sheet. 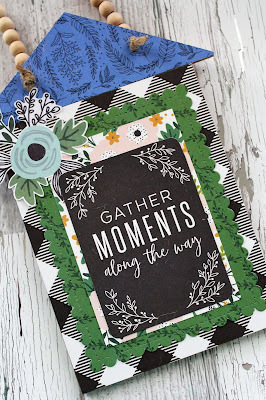 In the Along the Way collection, there is a box of cards. 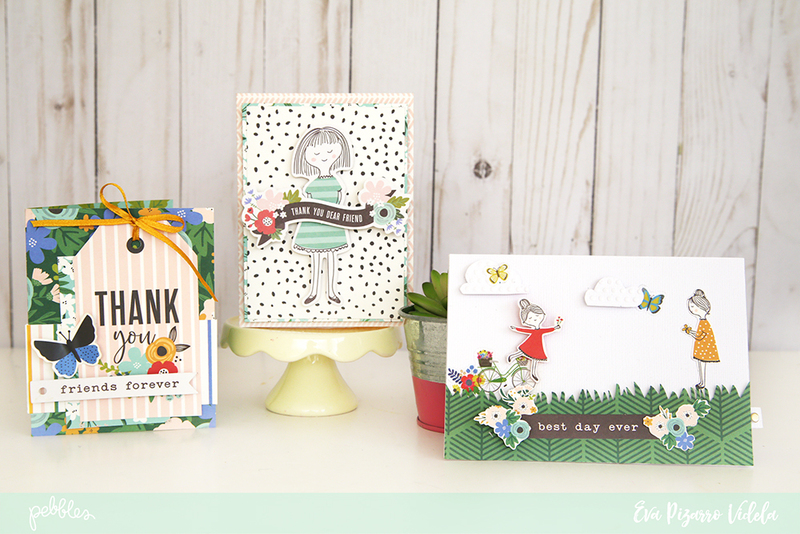 These cards are made using some of the fun prints from the collection. 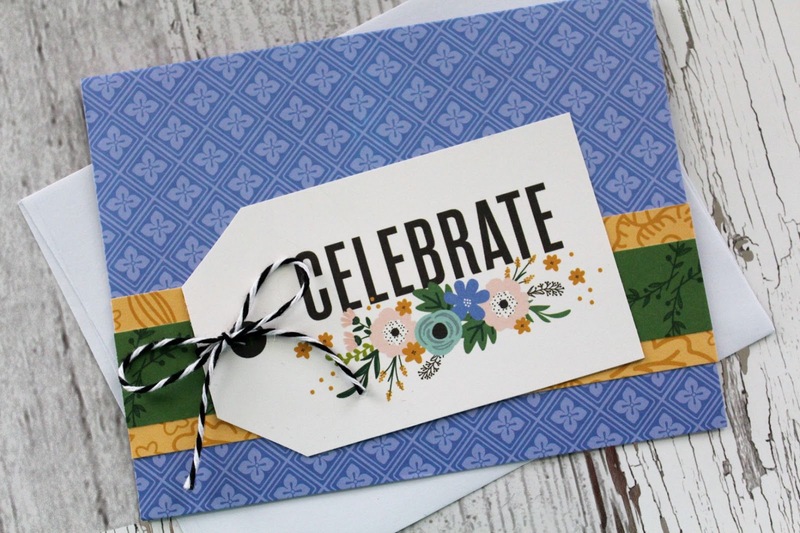 A great way to get started on a card. 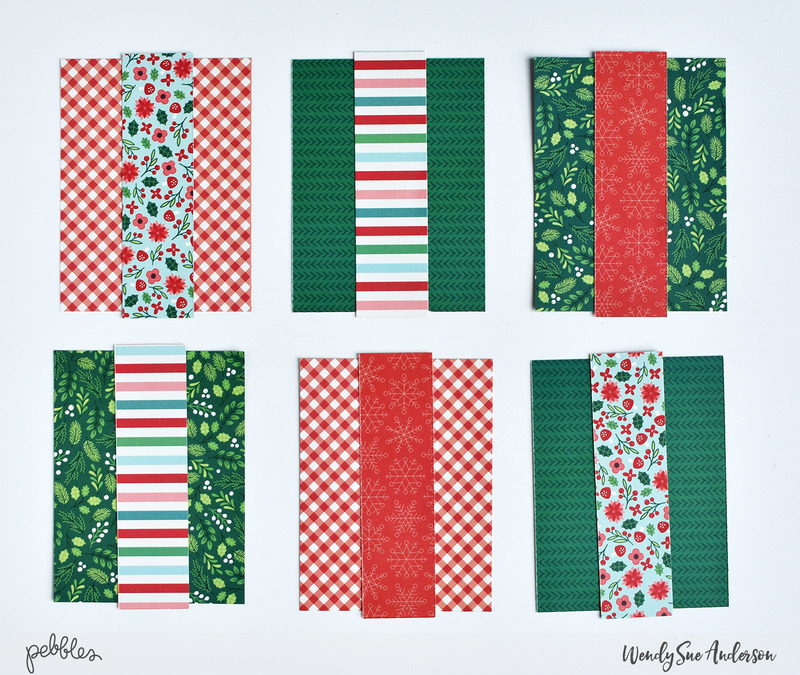 I cut up a few different tags from a 12×12 sheet and created the cards using frames and stripes of paper. I enjoyed my time as a guest designer. Thank you Pebbles, Inc. for the opportunity! Amanda here, and today I am sharing something that’s a little close to my heart; raising cancer awareness & spreading hope. These days cancer is all too well known, with most of us being affected either with the disease, or having a friend or family member suffering. It is a thing of great despair & darkness. 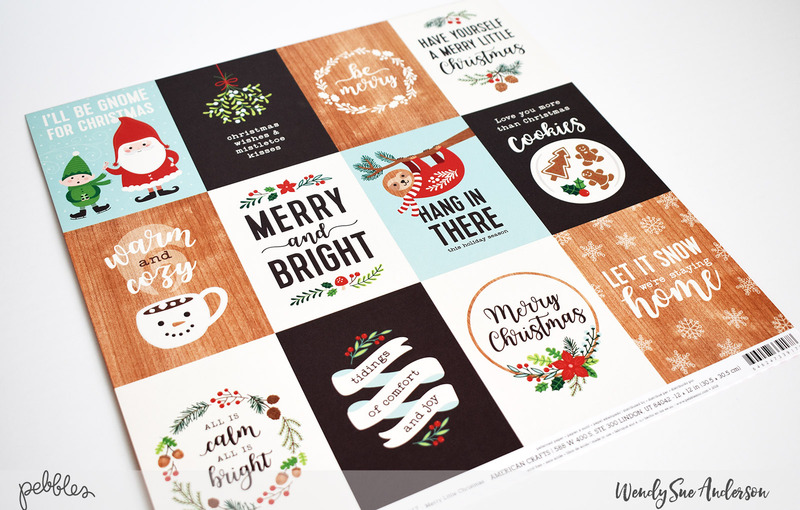 So let’s bring some light to those who need it most, by creating cards of Hope! 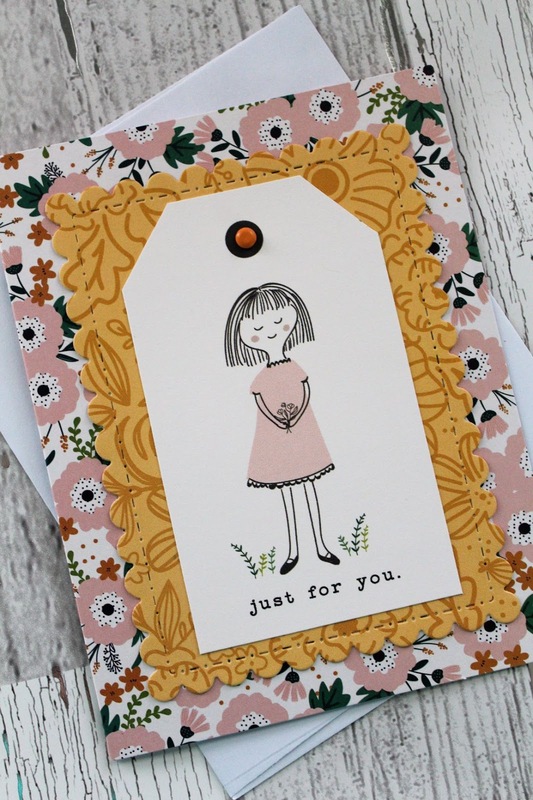 Infact, why not host a little ‘Coffee, Cake & Create’ card making session to raise money for cancer awareness? Together we can all make a difference! 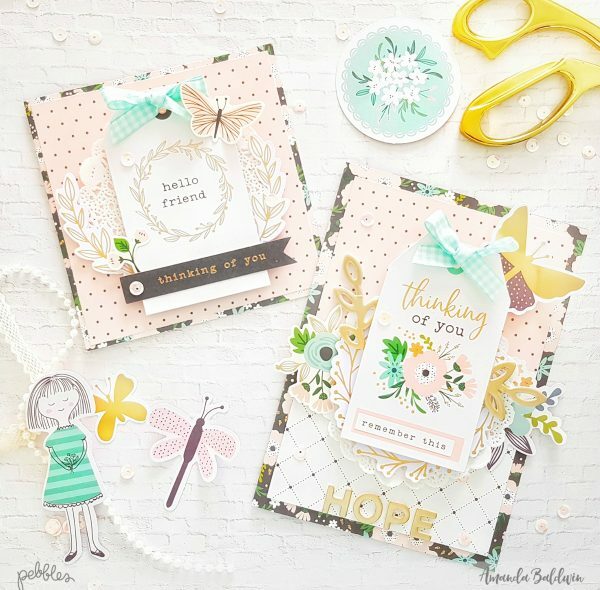 Here are my cards of hope with the beautiful Along The Way collection…..
Start by trimming pattern paper Blooms into two sections, 10″ x 7″ and 10″ x 5″. 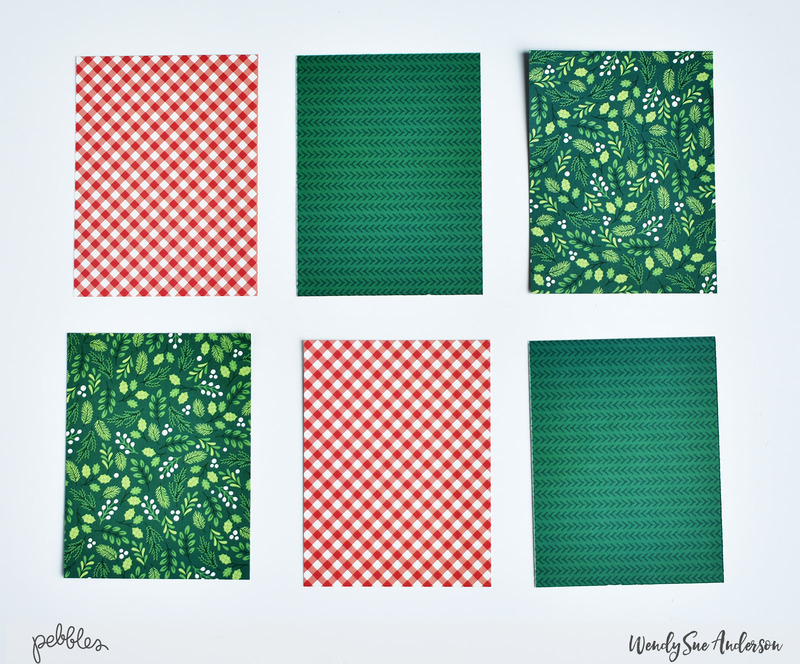 Score down the center, and fold to create 2 card bases, as shown above. 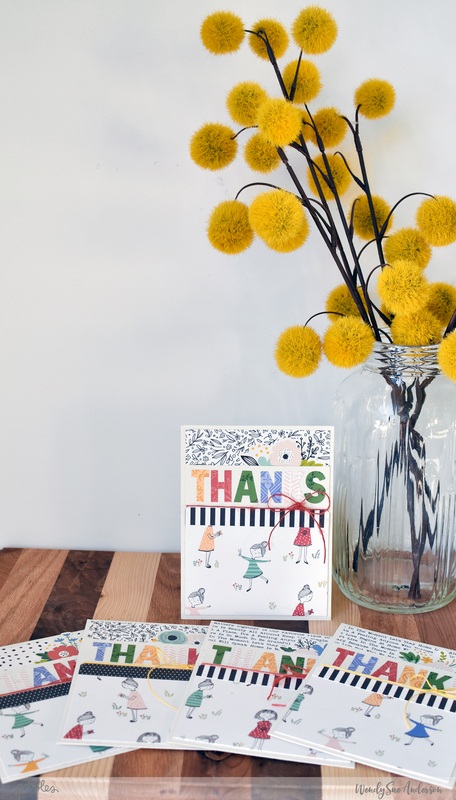 One card is a larger 5″ x 7″ size, and the other is cute 5″ square card. 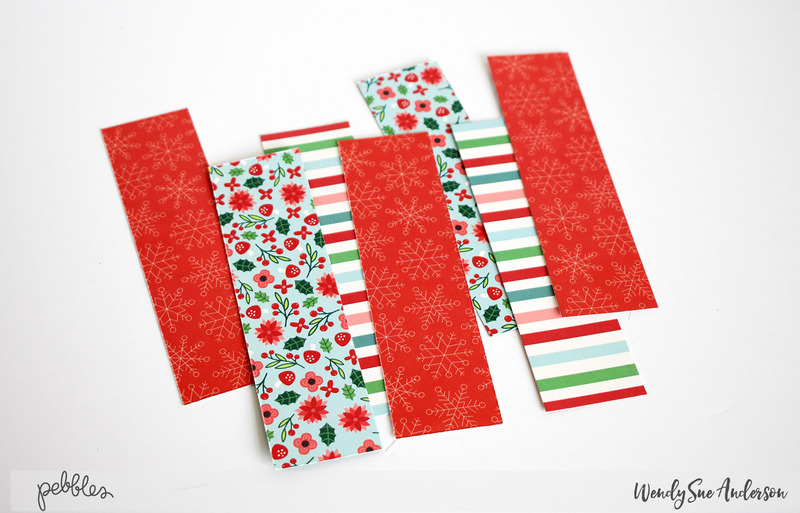 Next, trim the reverse side of pattern paper Window Box to 4 1/2″ x 6 1/2″ and 4 1/2″ x 4 1/2″ and adhere to the card fronts. 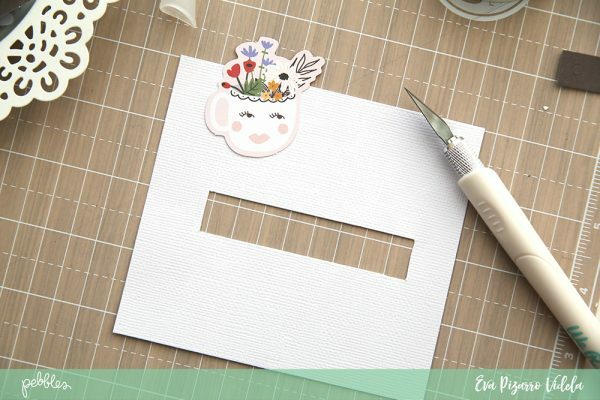 Cut a 4 1/2″ x 3″ strip of pattern paper Bird Seed and attach to the Window Box base of the larger card. 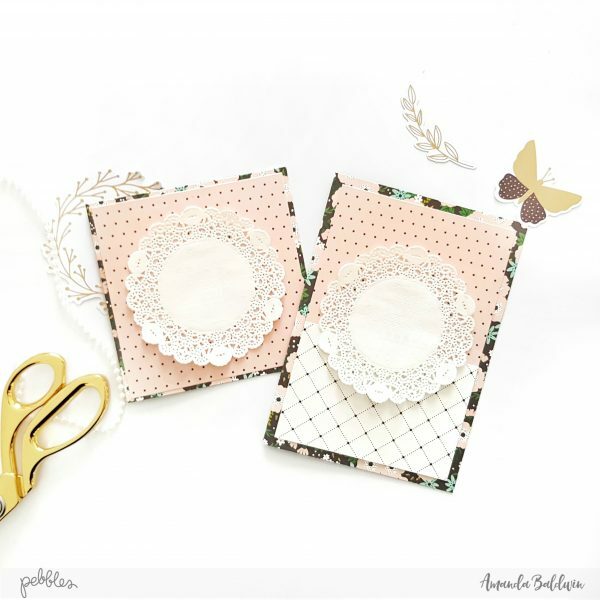 Glue doilies to the card centers. 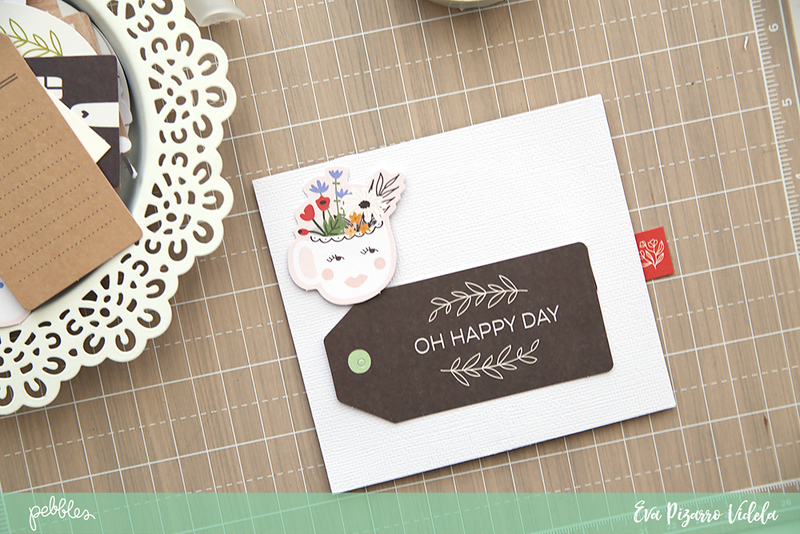 Select a tag or two from the Along The Way Tags pk, and embellish with a Phrase Sticker or Ephemera sentiment. To add dimension and interest, build up your card layers with foam mounted ephemera. 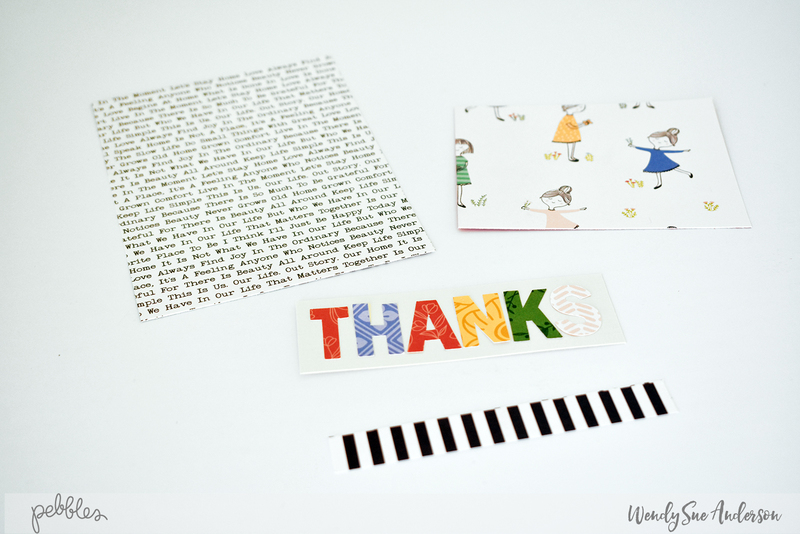 Add a few stickers, & a lil more ephemera! Use the pretty laurel leaves from the Kacie Thickers to add another texture, & element of interest. 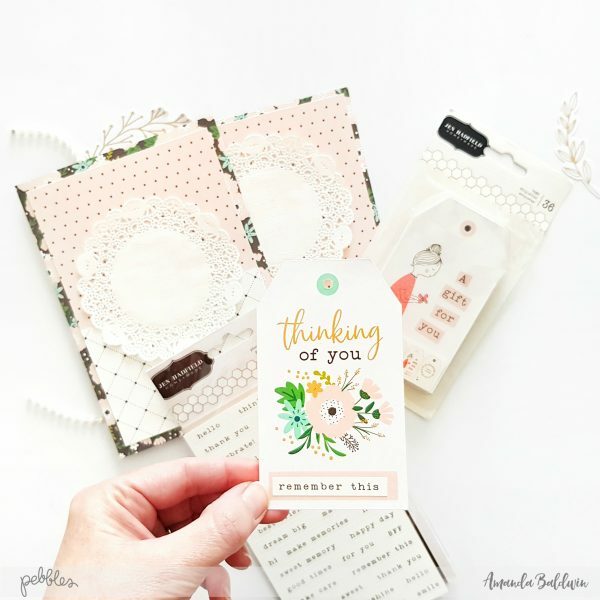 Apply a sentiment at the card base with the gorgeous gold foil Anne Thickers. 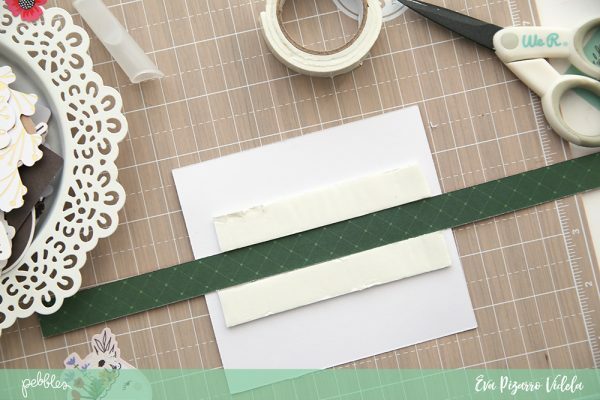 For finishing touches add a coordinating bow, and some sequins. Simple, but oh so elegant! 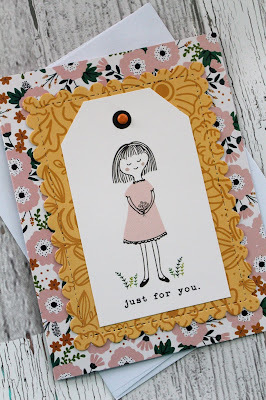 Cards of Hope only take a few minutes to create, but their thoughtfulness will last for months. Let’s spread the hope, and support our community! 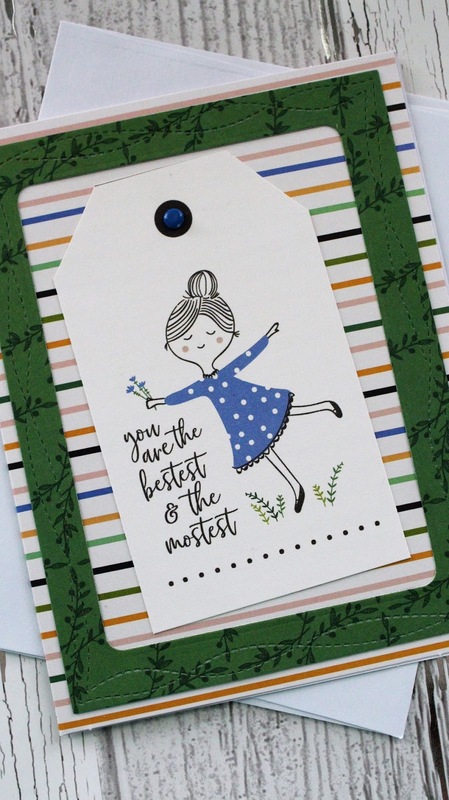 I hope my cards have inspired you to get creating and maybe even raise a little money towards cancer awareness too! 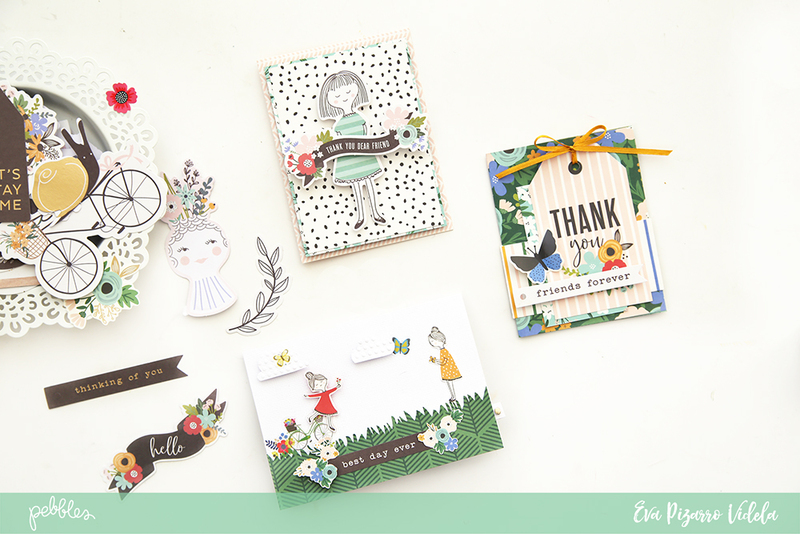 The Along The Way collection is really beautiful, and just perfect for all those special projects.